John Sansom asked me to give one piece of advice to aspiring DBAs. I spent a lot of time thinking about what would be the best single piece of advice I could offer. Before I could settle on an answer, I came across something written by Robin Williams. I thought it was perfect. So I’m going to hijack his advice and use it to answer John. Robin Williams was giving this advice to an aspiring actor during a recent AMA (ask-me-anything) on Reddit. I like this piece of advice for everyone in general and for actors specifically. I think it’s appropriate for actors because I understand show business can be such a fickle industry. It’s so important to love acting because the career can be – and will be – tough. It reminds me of another more local saying. Not every kid can make the NHL. Just as it is in show-biz, it’s very difficult to “make it to the top”. If you can make it to the NHL, you’re one of the fortunate ones. It’s seems to be such an exclusive vocation. But the I.T. field is different in an interesting way. I was recently talking to a friend at work. “What are the chances of my daughter becoming Prime Minister. I figure they’re about one in thirty million.” My friend pointed out that not every Canadian tries to become Prime Minister, or even a politician. So the odds of someone trying to become Prime Minister and succeeding are significantly better. And here’s where the I.T. field is different. Anyone who wants to become a DBA becomes a DBA. Anyone who wants to become a rockstar DBA becomes a rockstar DBA. There’s no real secret. Talent helps. Hard work helps more. But mostly it’s putting in time. Putting in time is easier said than done. It’s putting in time and the commitment that goes with that. 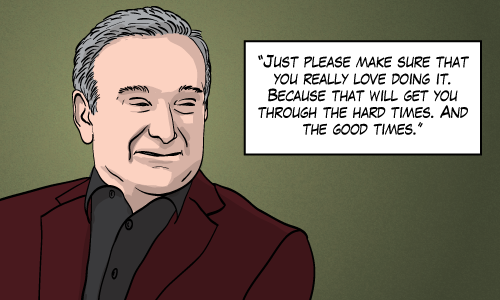 So I believe Robin Williams’ advice still applies to you aspiring DBAs. If you love this field it makes the work fascinating. You start finding that problems become puzzles. All of a sudden, you’re not studying, you’re satisfying curiosity. This field provides a great scope for creativity (for the creative) and great scope for community (for you social creatures). Now maybe you don’t love the field. Maybe your DBA job is simply a means to an end. Maybe your DBA job enables you spend time at what you do love. That’s fine. It just means that you need to have a strong work-ethic. The time commitment takes a bit more discipline. You’ve chosen a great field. It will pay back what you put into it. 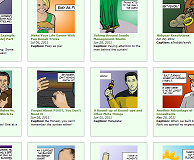 This post is just one part of a SQL Server community project by John Sansom. Download the free ebook DBA Jumpstart which contains more advice from other DBAs. “Now maybe you don’t love the field”. If a person doesn’t love what he(she) does, then it’s time to find a new field. Easier said than done I think. For example, finding a new field may come with a pay cut or a relocation or other considerations. Things that can make the choice difficult or impossible. Very well said, I’ve recently tried to explain to someone why I love being a DBA and this truly sums it up!